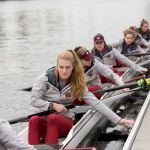 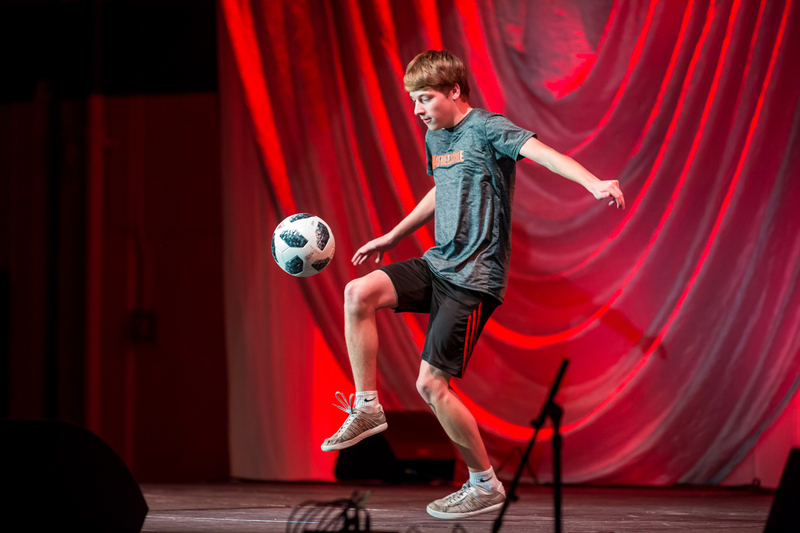 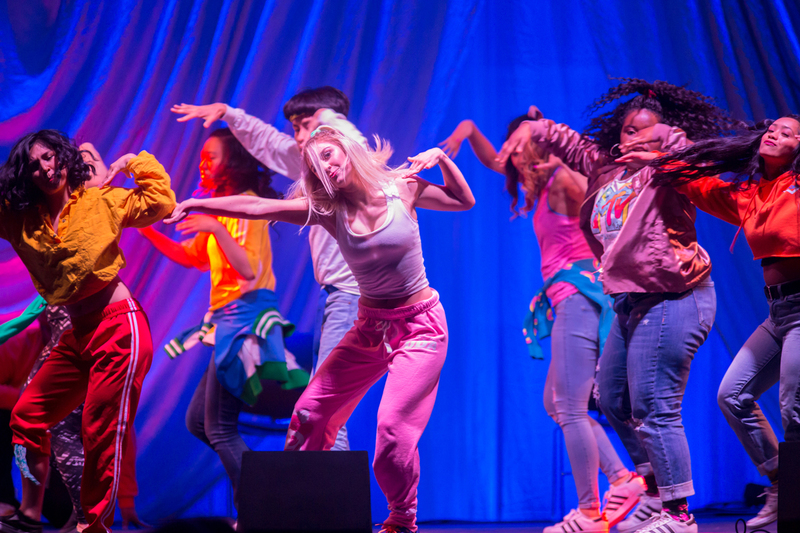 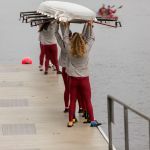 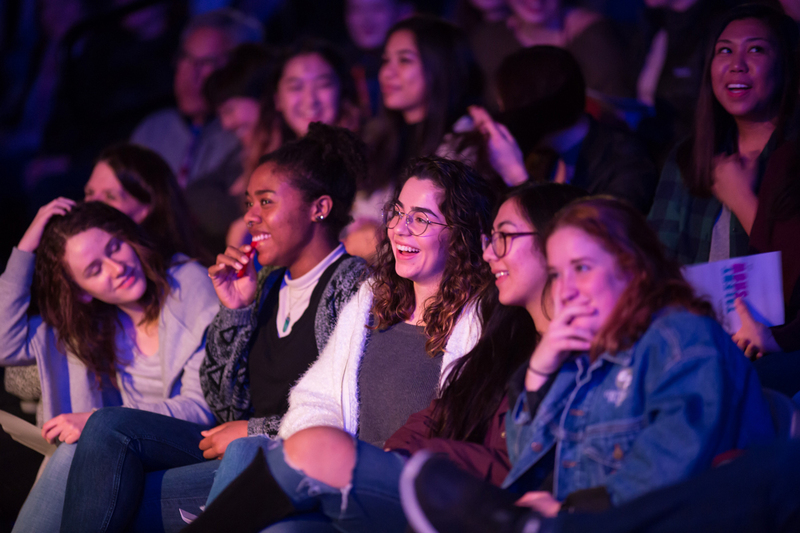 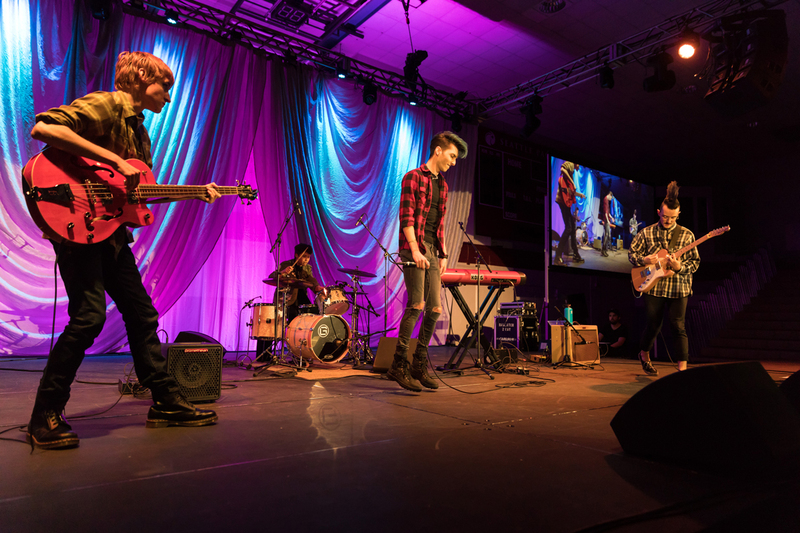 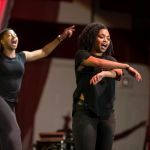 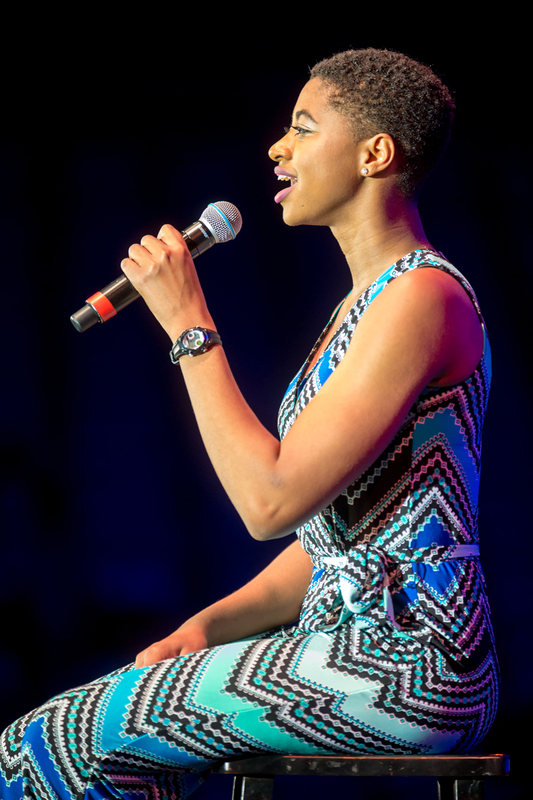 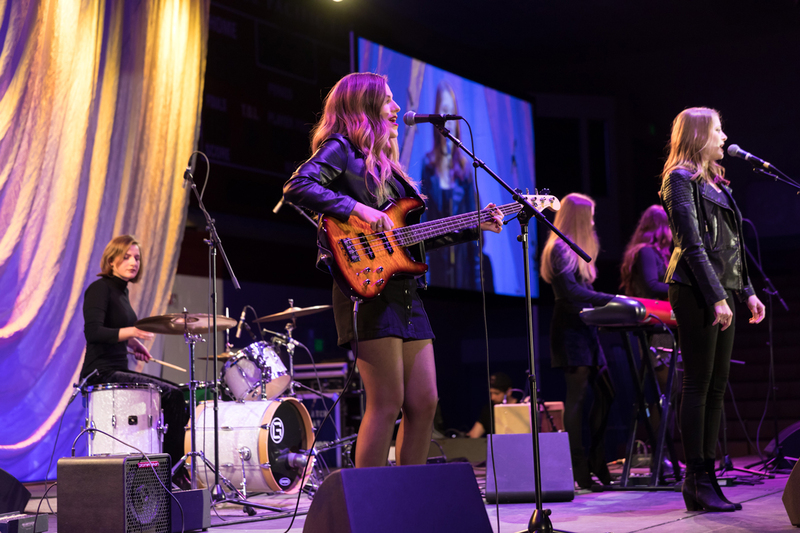 From the talent show Friday night to the crew regatta, Jane Eyre: The Musical, men's basketball game, and more, alumni turned out in force for 2018 Homecoming and Family Weekend. 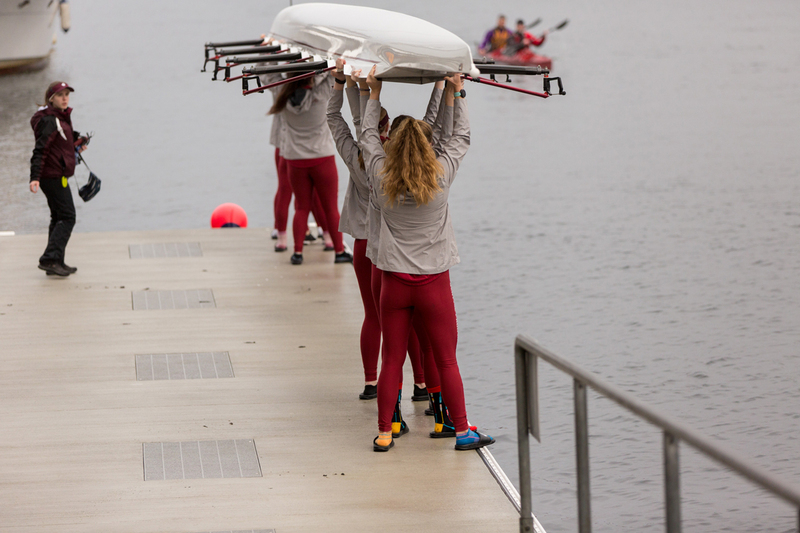 Already feeling nostalgic? 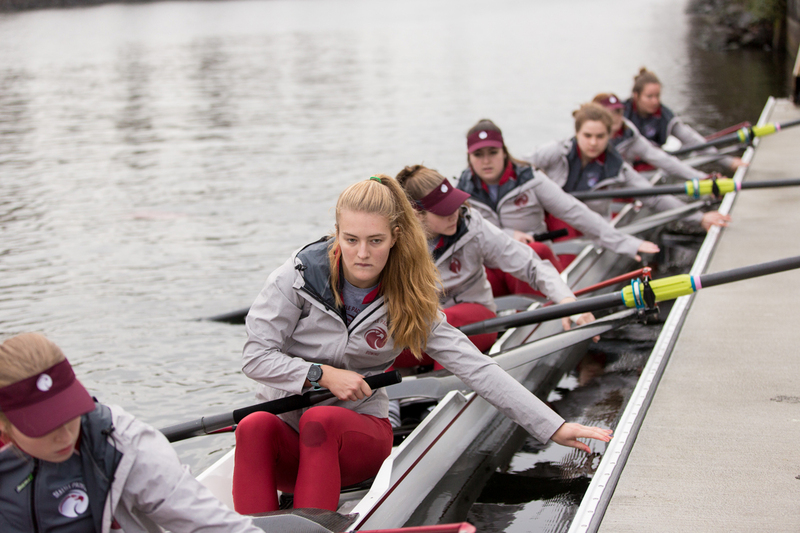 Check out this selection of our favorite shots from the weekend, and look for more in the spring issue of Response. 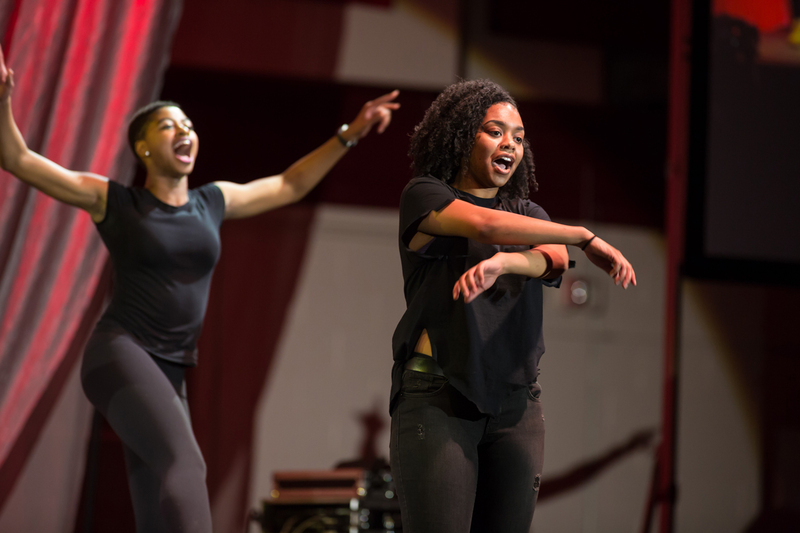 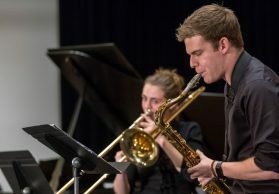 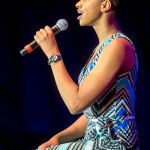 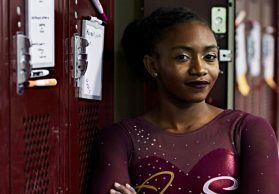 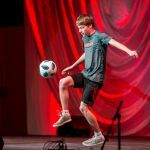 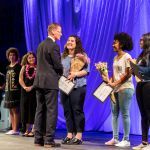 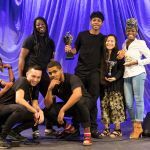 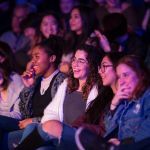 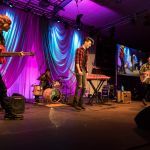 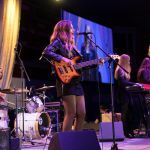 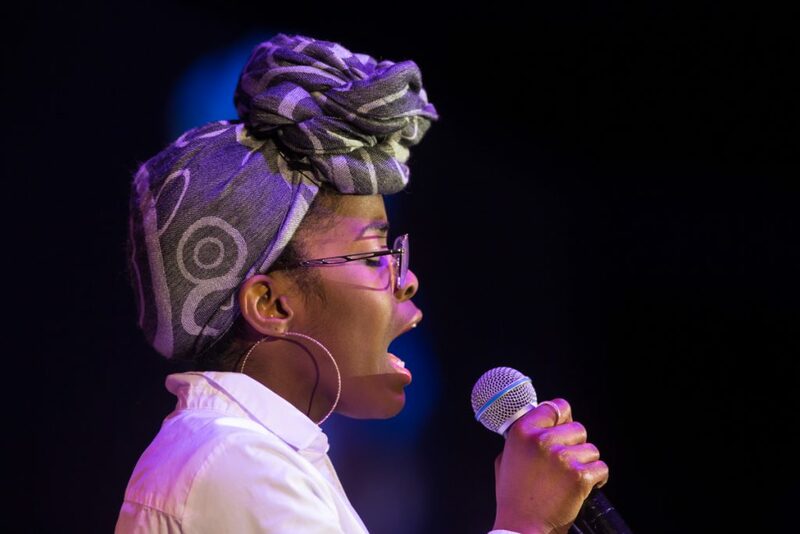 The student acts at the annual Talent Show entertain and surprise, and this year was no exception. 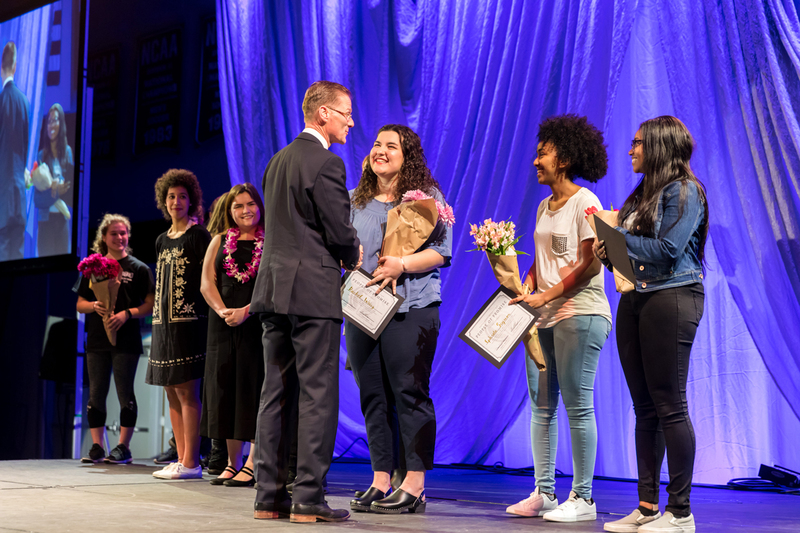 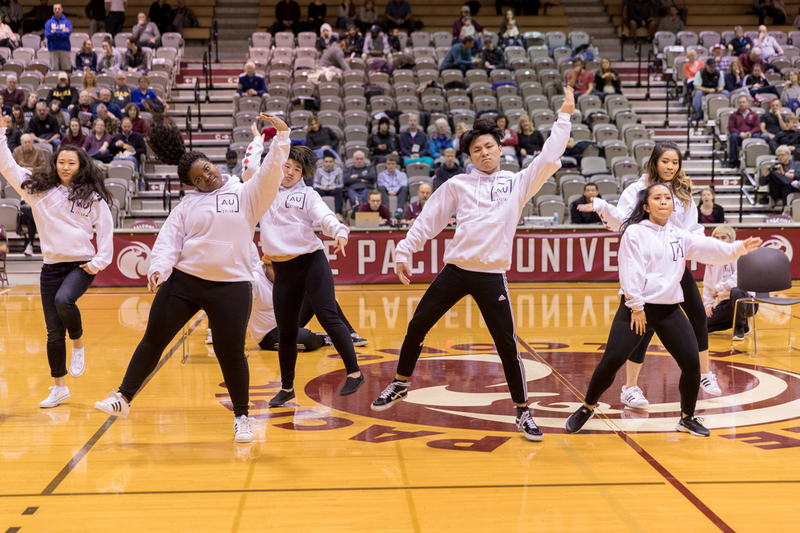 The show highlighted not only the talent and diversity of the SPU student body, but also the students’ hard work and passion. 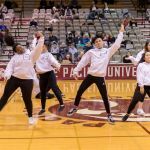 Congrats to first-place winners, the SPU Step Team! 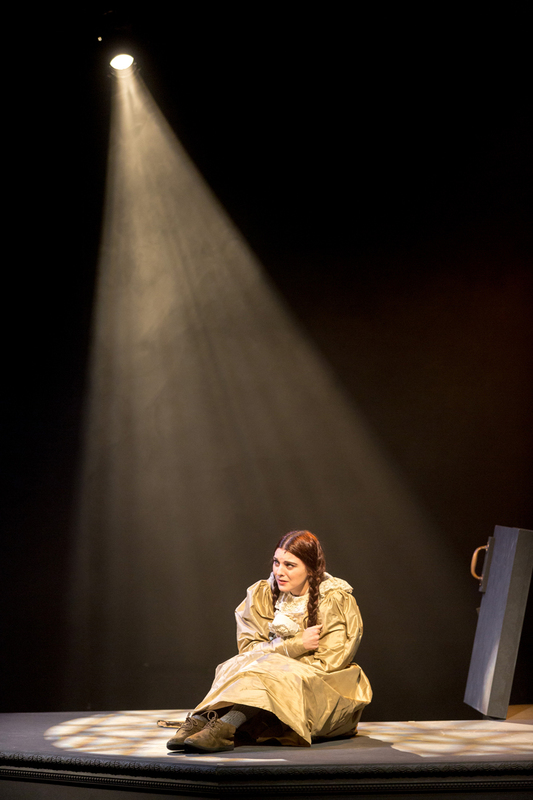 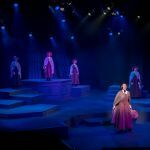 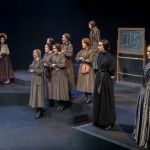 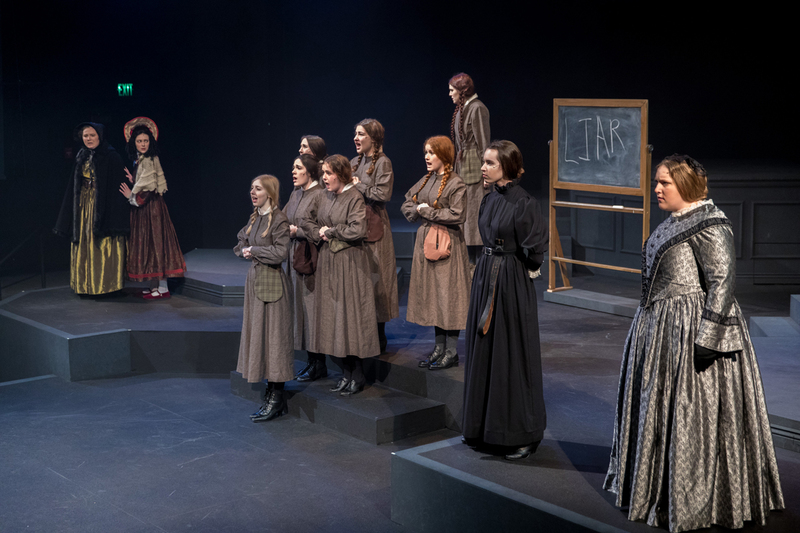 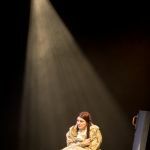 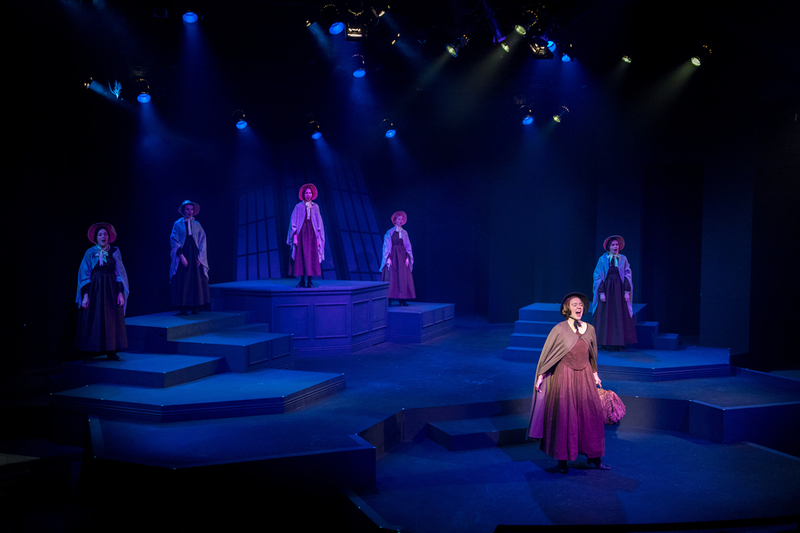 Visitors had the chance to experience student talent in another way at Jane Eyre: The Musical, directed by alumna Candace Vance ’95. 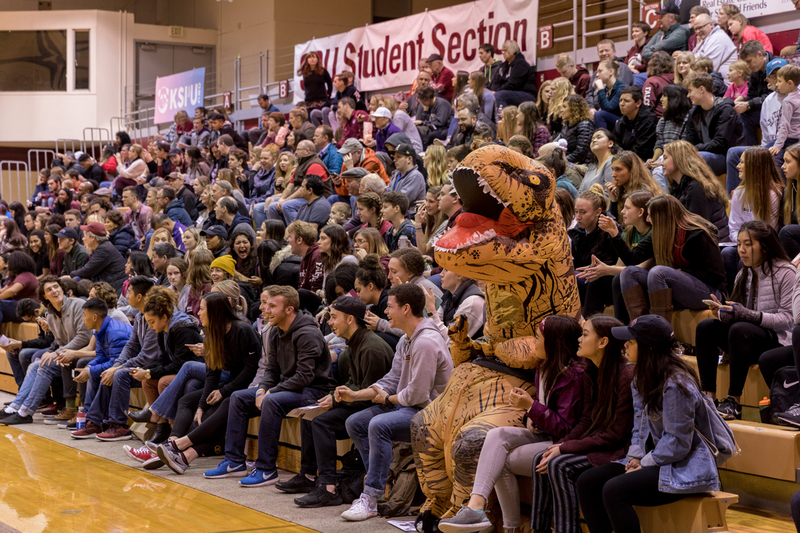 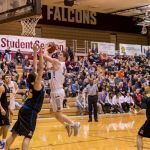 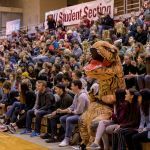 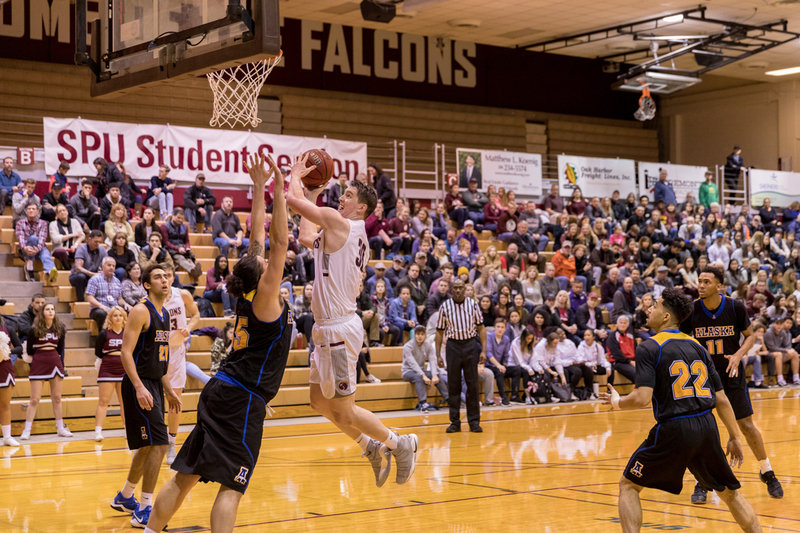 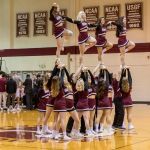 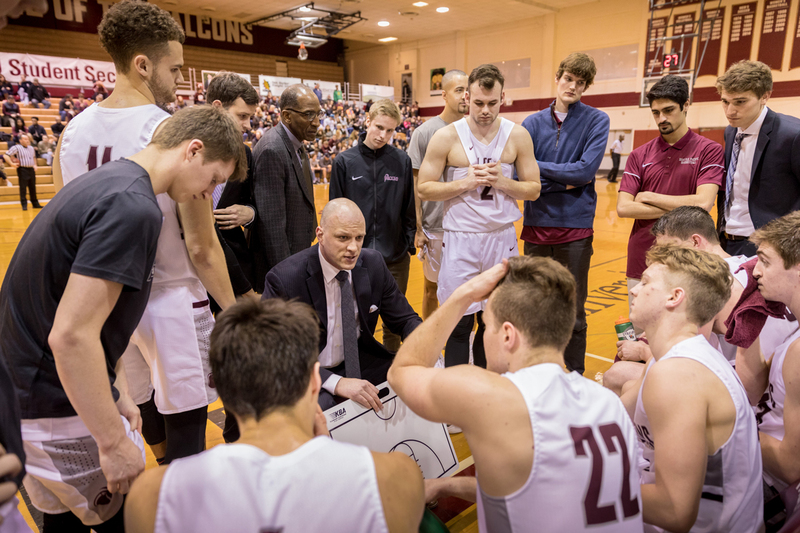 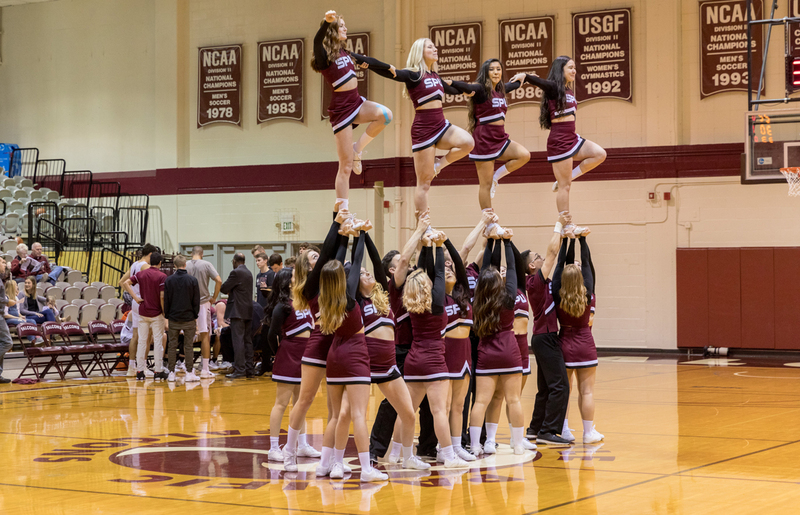 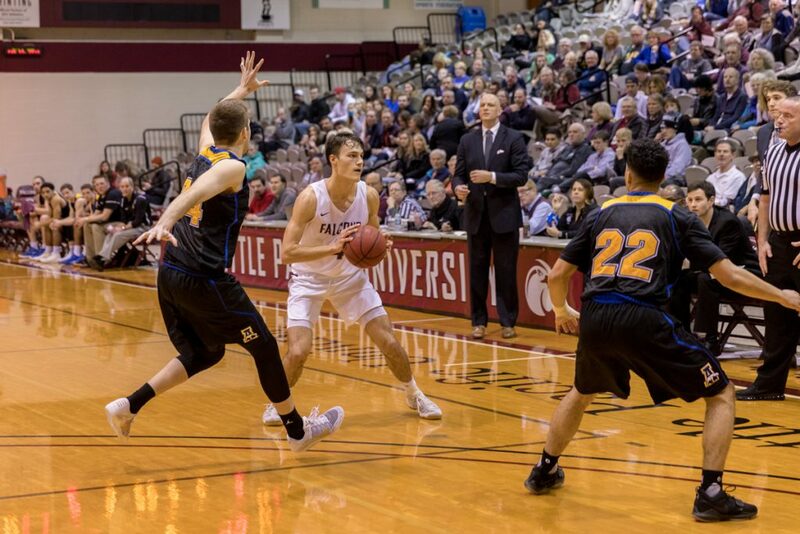 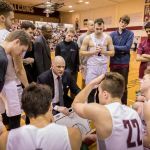 Besides the fact that SPU won handily, Talon, the cheer team, and the Ante Up dance group kept the energy levels sky high at the men’s basketball game. 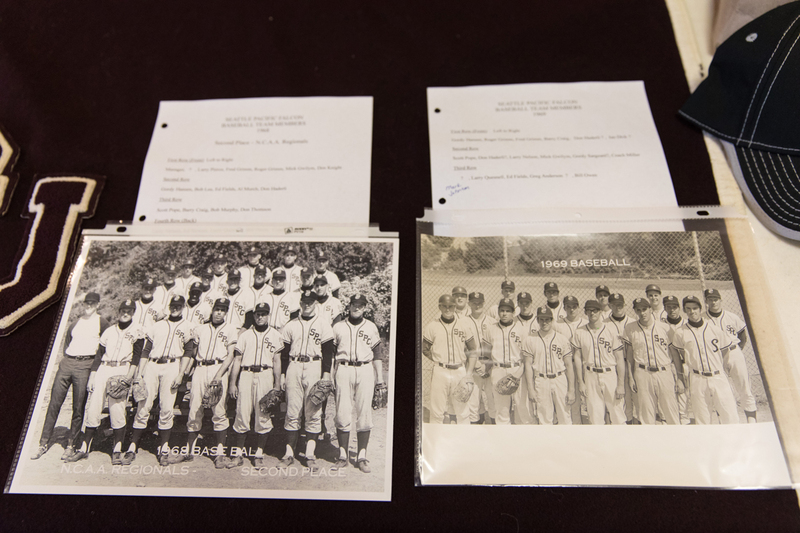 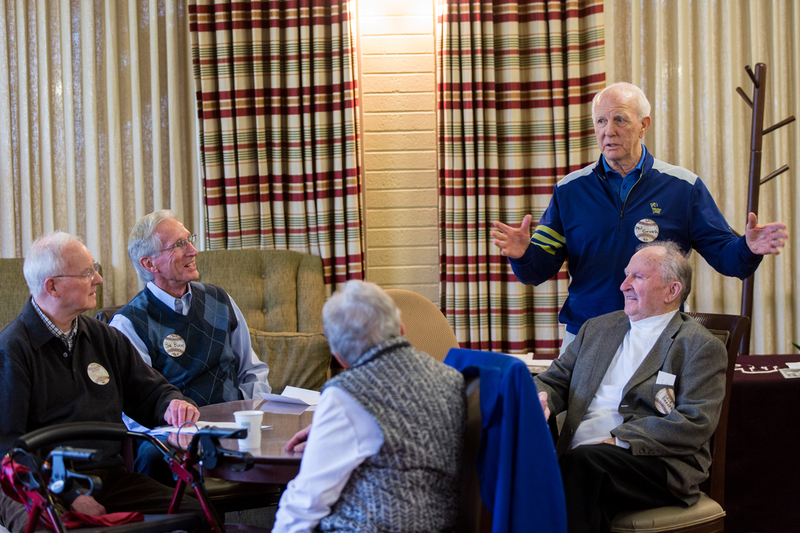 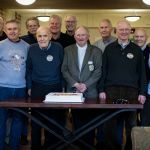 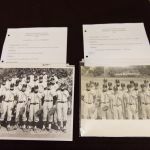 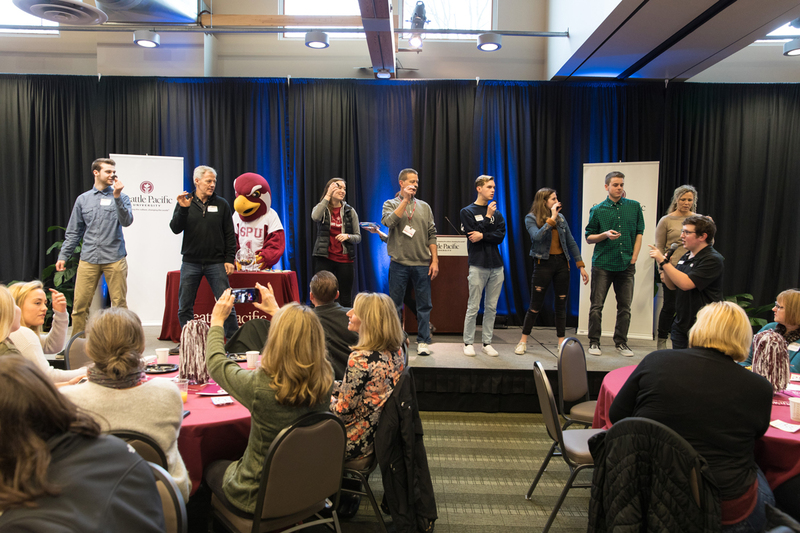 Former SPU baseball players came together to share memories, honor coaches, and renew friendships at the Homecoming Baseball Reunion. 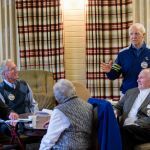 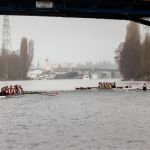 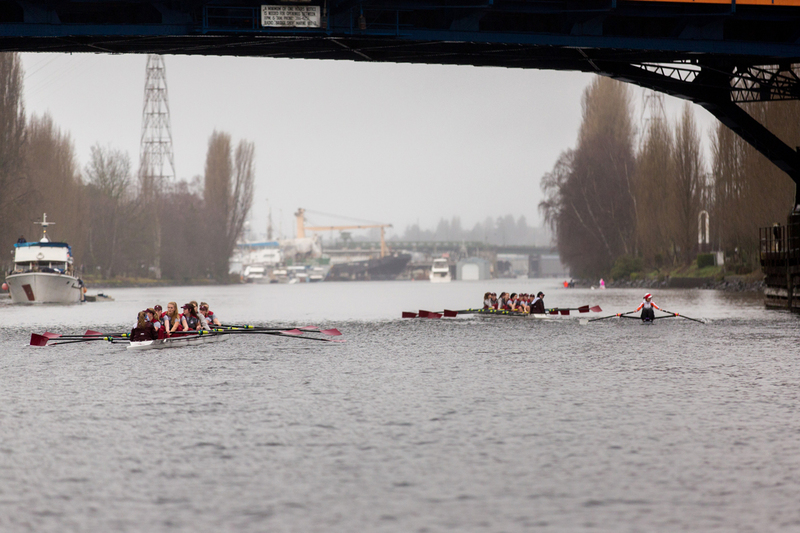 The crew regatta gave visitors a classic waterside view of the canal along the Fremont Cut connecting South Lake Union and Shilshole Bay. 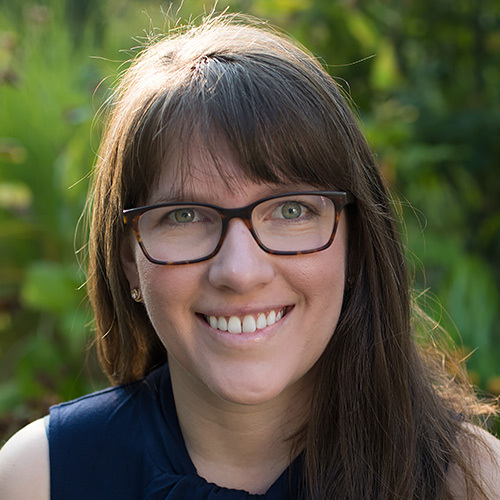 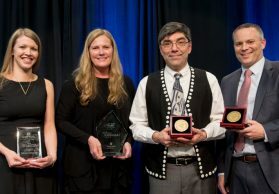 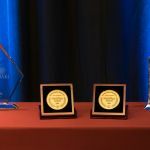 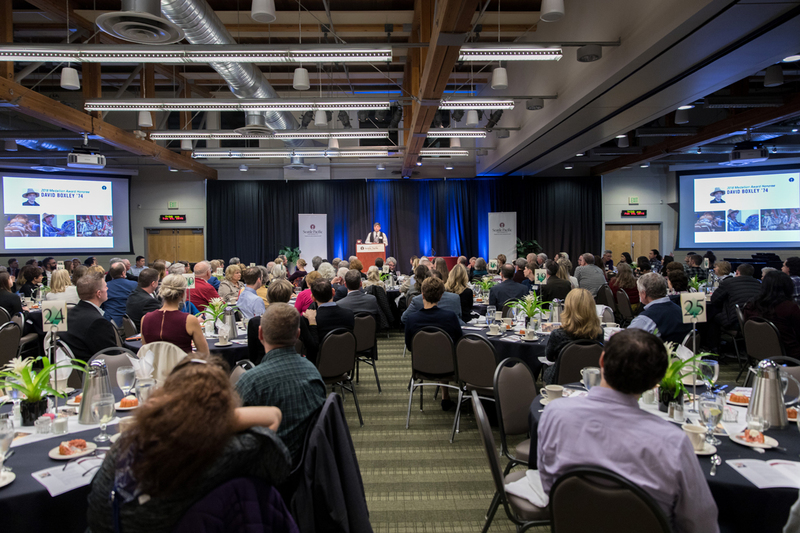 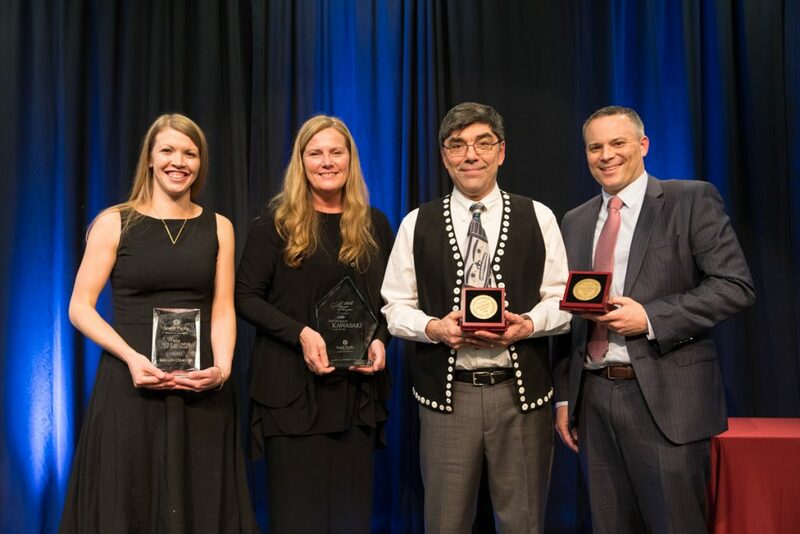 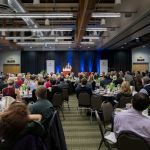 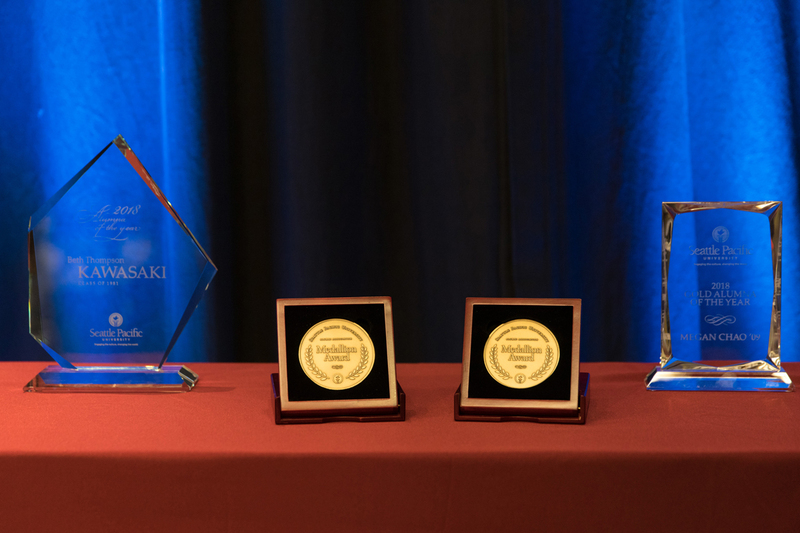 This year’s set of alumni award winners was honored the Alumni Awards Dinner, which celebrated their remarkable achievements in humanitarian, business, cultural, and political work. 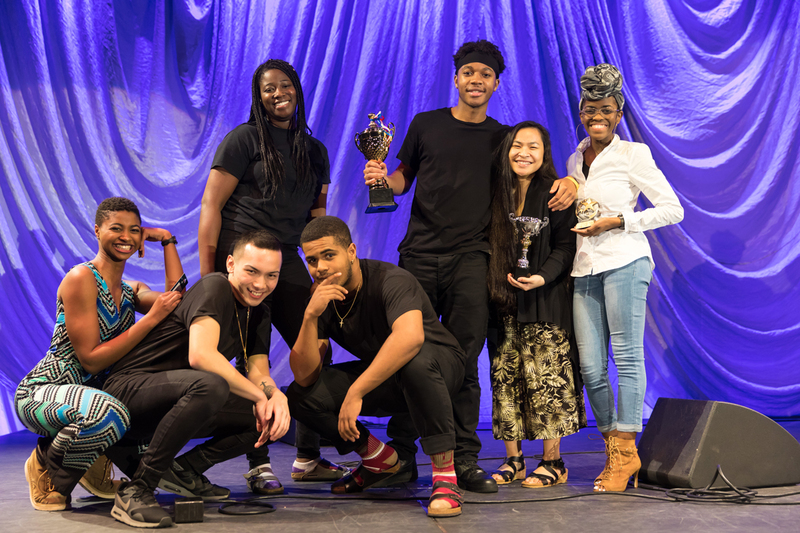 Their inspiring stories will be featured in the upcoming issue of Response magazine. 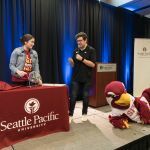 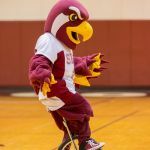 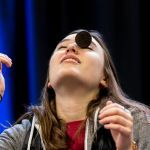 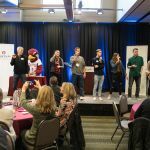 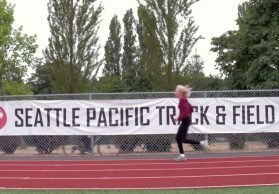 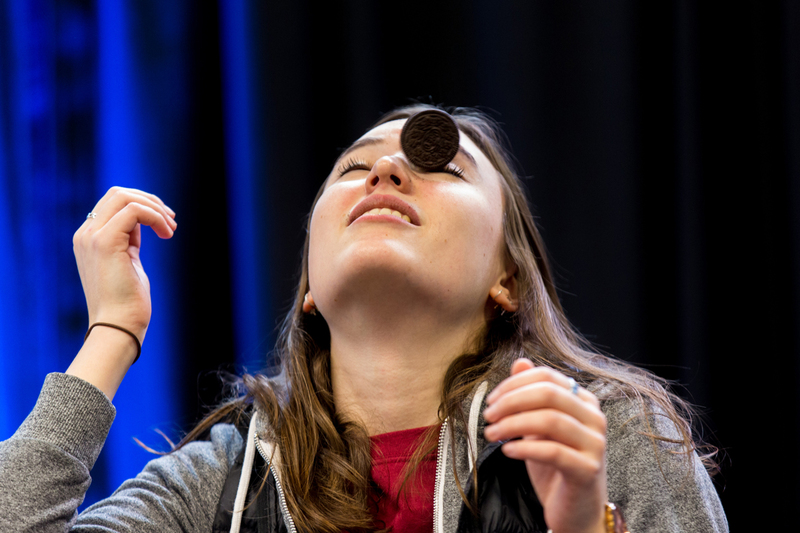 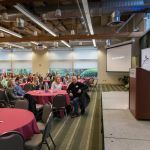 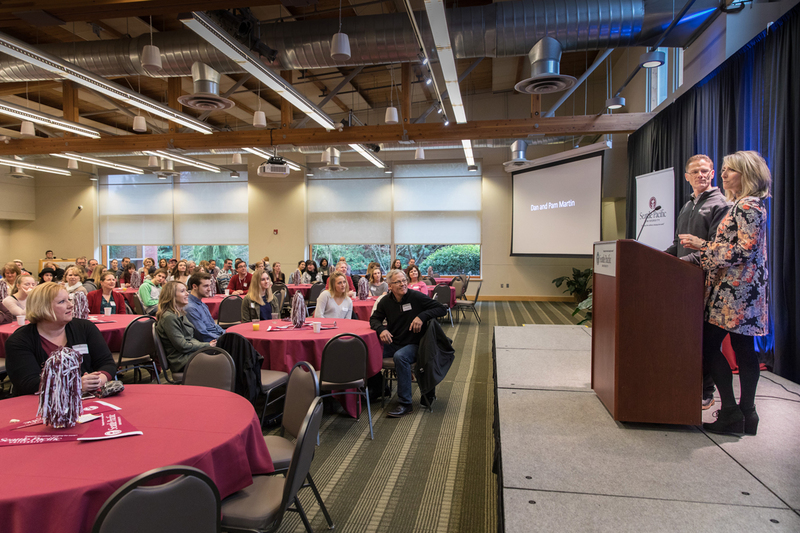 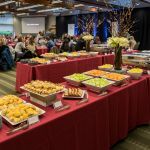 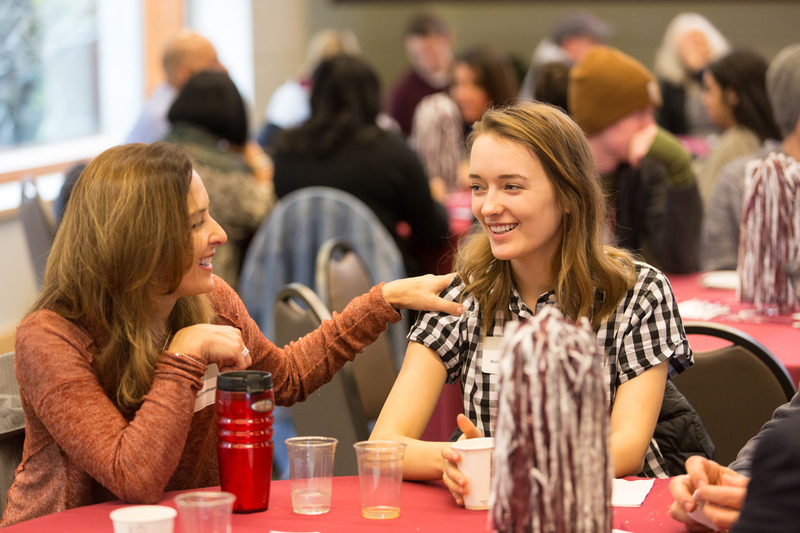 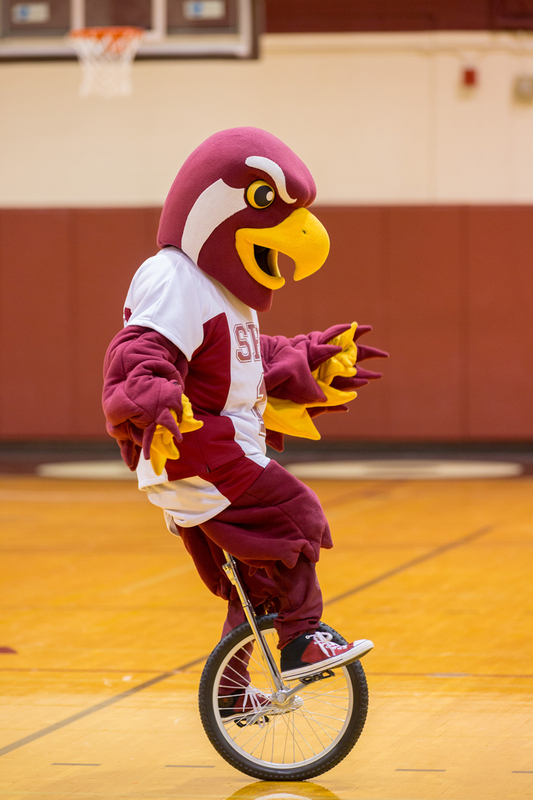 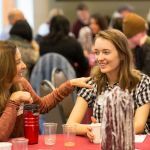 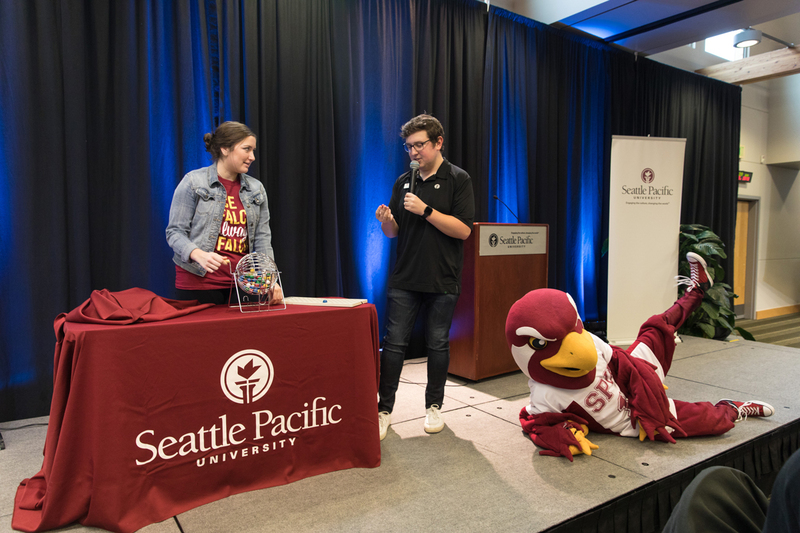 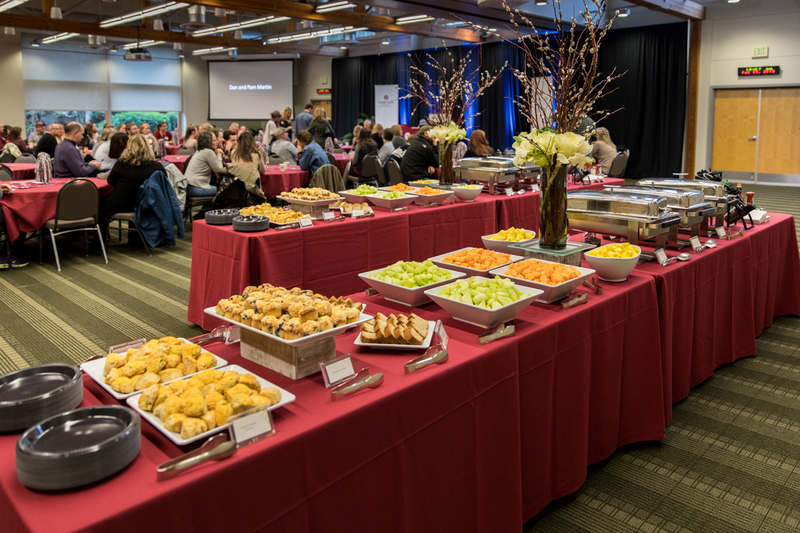 This year, SPU also hosted the Falcon Family Brunch instead of Mom’s Day and Dad’s Day, providing a time for families to have some fun together, with good food, silly games, and Talon, SPU’s mascot.